Could Stoke City find themselves in trouble? Following Wednesday night’s abject loss at the Stadium of Light, Stoke City sit 16th only. three points off the relegation zone and four points off the bottom. They seem to have avoided much of the talk about relegation candidates up till this point – maybe due in part to picking up seven points in their first four games, including drawing with City and doing themselves no disservice in a narrow loss at Anfield. It is easy to forget that last season, right up until they won 2-0 at Loftus Road on the 20th April last year that – with five games to go – they were five points off relegation and only ahead of 17th placed Aston Villa on goal difference. True, they were never really in trouble due to the failure of Wigan Athletic to produce their annual revival but it just goes to show that Stoke have been dancing with danger for a while now. The days of being the love-to-hate, boring yet effective mid table outfit are long gone. Looking back at the teams last few season who narrowly survived relegation, there is one factor that tends to unite them – a player who could win a game on his own. Last season it was Aston Villa, Newcastle United and Sunderland finishing 15th, 16th and 17th respectively. Villa had Christian Benteke (19 goals) who was simply outstanding last year whilst Newcastle had Ba (11 goals before leaving in January) and Ben Arfa, instrumental in the latter stages as Newcastle began to see red with Europa League taking its toll on the team’s Premier League performance. Sunderland meanwhile had not only Steven Fletcher (11 goals) but also Simon Mignolet, picked by many as their goalkeeper of the season and questionably beaten to it by David De Gea. Looking at Stoke this season, well they do have a quality goalkeeper in Begovic but injuries have hampered him this season and he has not looked as assured in his last few games as at the beginning of the season. Furthermore in attack, they are burdened with the ineffective and ageing Peter Crouch. They’re most exciting attacking threat seems to be the inconsistent Assaidi but, although a decent player, he does not strike me as capable of turning multiple games in the latter part of the season. Something that Stoke will need. Regardless of individuals, Stoke still could have enough to stay up. QPR survived in 2011-12 without anyone in the Benteke category. However, in order to survive without this type of player something else is needed. The ability to play well as a team. Against Sunderland as in many games this season this was not there. It is a telling statistic that Stoke’s most fruitful pass combination of two players is Asmir Begovic to Peter Crouch. Whilst most of the teams around them (and there are many) are capable of on their day putting in a really good, attractive performance (West Ham being a notable exception) – it seems that Stoke’s style revolution under Hughes lasted about three weeks. Against Sunderland they looked simply lost for ideas and resorted (as usual) to “hoofball”. With a bit of invention they would’ve won or at least drawn several more of their games this season but this one-dimensional approach which, in fairness they have tried to cut out, just seems to keep creeping back. In the early days of Stoke’s Premier League adventure under Pulis they had Etherington and Pennant in the form of their lives running the wings, they had Delap’s throw ins providing them with cheap goals in games and they had in form strikers in Fuller, Jerome, Jones and Crouch. However, none of these any longer apply. Long ball football can be effective if played correctly, last season West Ham showcased it excellently. However, Stoke have now become predictable and dry, unless Hughes can achieve a sustained change in their style in the second half of this season then this could be the primary cause of their downfall. As an Arsenal fan I have no great love for Stoke City but I do not hate them either. They are a real club. They have a loyal set of fans, a relatively secure power structure, a decent stadium with a great atmosphere and have not – unlikely many of their rivals – benefitted from huge investment from some foreign tycoon. However, their current predicament for me stinks of a team on their last legs in the Premier League. 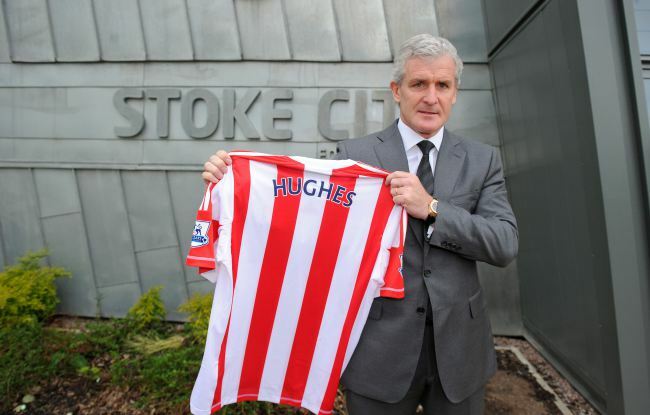 For too long they have pursued an ugly style of football with little end result and although Mark Hughes may have made efforts to change this – he seems to have failed and now even the fans have become tired with it. Maybe they can reform their style or maybe from somewhere within they might find an individual who can take them out of the relegation zone but right now both of these options seem far off. They are not the weakest team in the league by any stretch but may perhaps be the most ineffective and as such, I expect to see them in the bottom three at the end of the season.